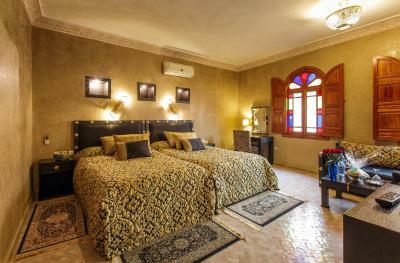 Lock in a great price for Riad Andalib - rated 9.8 by recent guests. Excellent full breakfast, arranged early if we needed it. We would give more stars if we could!! Reibal is an incredible host, we stayed there for our honeymoon and they made us feel so welcome, we were treated as a King and Queen. The room was beautiful! The service at this Riad is above all expectations. On our first day he spent time with us and gave us detailed explanations of the medina and the city which enhanced our trip and gave us confidence to navigate the medina alone. 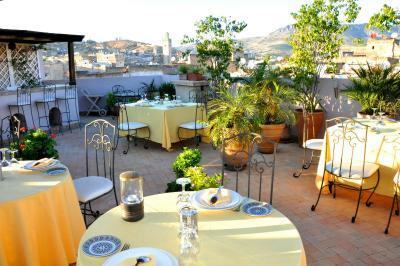 We would recommend this Riad to anyone visiting Fes. Mr. Ribal Al Edrisi (the owner of the road) is an exceptional person. He met us upon our arrival and he briefed us about exploring the city. Also, he arranged our local tour in Fes. He is available from early morning and he supervisors al services in the hotel. Restaurant food is excellent. The hotel is clean and very quiet. Definitely the best restaurant in Fez, we have tried few but Andalib is defintely head and shoulders above. The owner Reibal is amazing, he shows you how to move around Medina and how not to get lost. Also the position is good, since it is located just out of the medina, so you are not in the crowded area but you can get into medina in 2mins. The suite is perfect, it is very big and, as most important thing, is super clean. 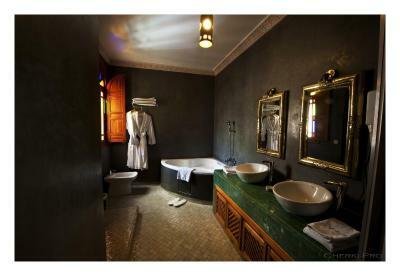 I strongly recommend this Riad!! Thanks Reibal!! The room was very spacious and comfortable. The view from the roof was also fantastic. Perfect location too. But the best part was the owner, Reibal. He showed us how to move around in the Médina, and he helped me a lot in an emergency situation which I am very grateful for. Because of his great hospitality and pleasant staff, my wife and I had a wonderful time. 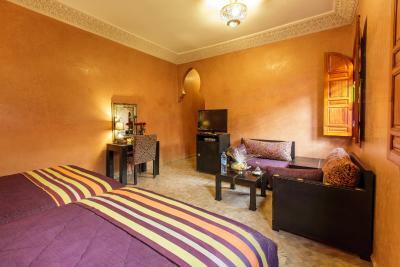 Highly recommended to anyone looking for a great Riad experience in Fes! 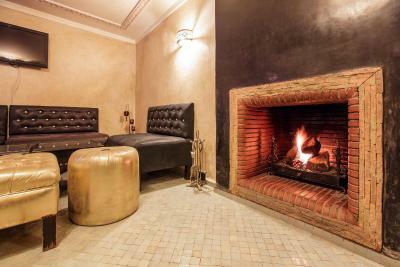 Awesome Riad. Great ambience. Unbeatable location. Special mention to Reibal (the owner) and all of his staff. They were all extremely kind and helpful. 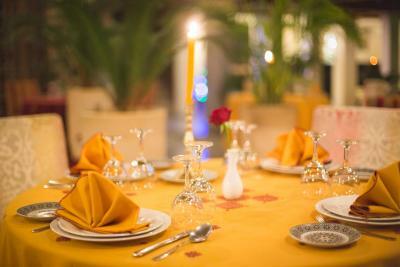 Their only priority is the guest's wellbeing and satisfaction. Rooms are spectacular and beds are huge and really comfortable. 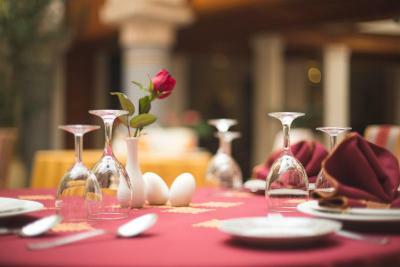 A special mention has to be made to their cuisine, from our point of view, the best in town by far. Their breakfasts are also spectacular. I would definitely recommend Reibal Andalib to anyone planning a visit to Fez. It had impeccable service. It was quiet and clean. The food was ample and delicious. Highly recommended. The host was outstanding. One of our top picks in Fès – and a guest favourite. 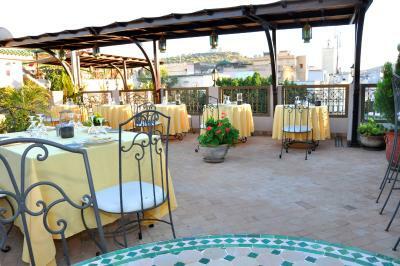 Situated in Fès medina, this Andalusian-style guest house offers a panoramic restaurant and a large sun terrace. Free Wi-Fi is provided in the air-conditioned guest rooms. 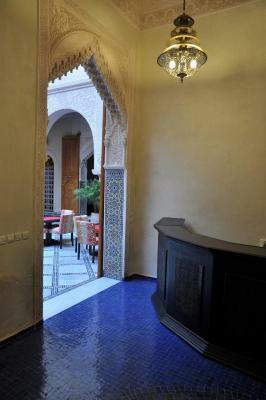 The rooms at the Riad Andalib have a flat-screen TV and they are situated around the central patio. 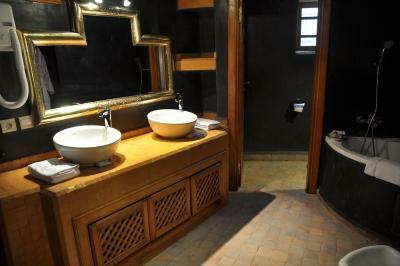 Each features a seating area, and the private bathrooms include bathrobes and slippers. 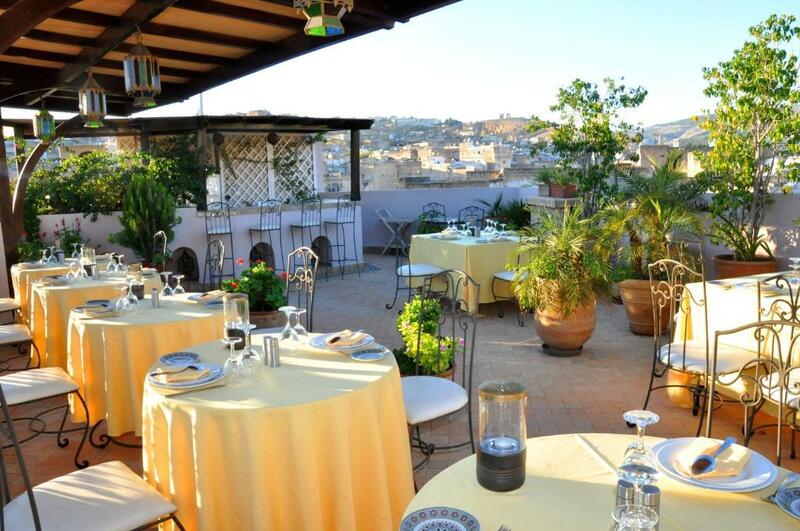 Riad Andalib has 2 restaurants. 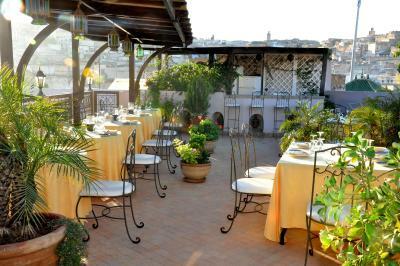 El Panorama serves gastronomic cuisine and has a terrace which overlooks the rooftops, and El Andalib serves traditional Moroccan cuisine. 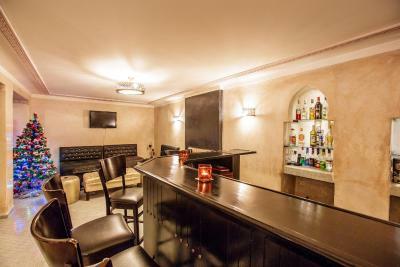 Guest can also enjoy an after-dinner drink in the bar. 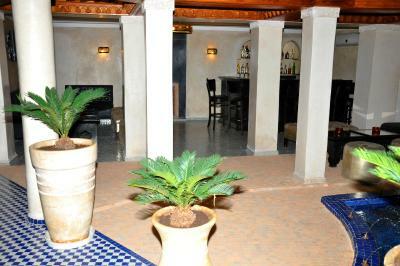 Fes-Saïss Airport is 7.5 miles from the riad and the railway station is just 1.2 miles away. Karaouine University is a 10-minute walk from the property. 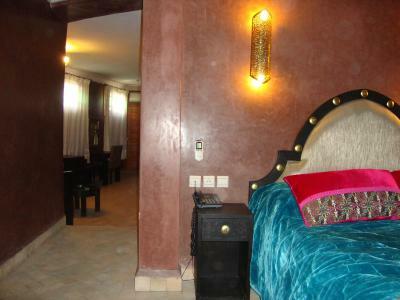 Riad Andalib has been welcoming Booking.com guests since 24 Jan 2011. 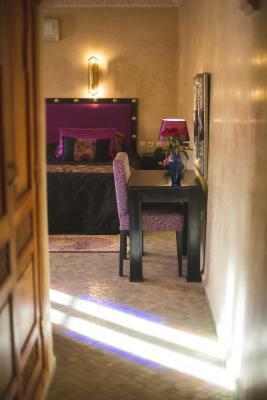 When would you like to stay at Riad Andalib? This spacious suite is air-conditioned and offers an elegant decor. 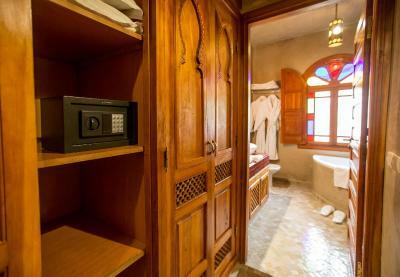 This air-conditioned suite offers a flat-screen TV with satellite channels. This more spacious suite is air-conditioned and equipped with a minibar. From the moment you walk through the curved doors you will feel like you have been transported back to a 15th Century Andalousian house. 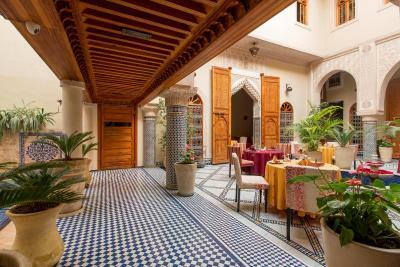 Riad Andalib is in a privileged location, bordering the main road to access the old town of Fez called Medina, which makes it the geographical center of the medina but yet accessible by car. Typical Andalusian house with typical Andalusian Patio with a central fountain and common rooftop/terrace, where you can enjoy taking sun, simply relax or enjoy the view of all the Medina with its minaret. 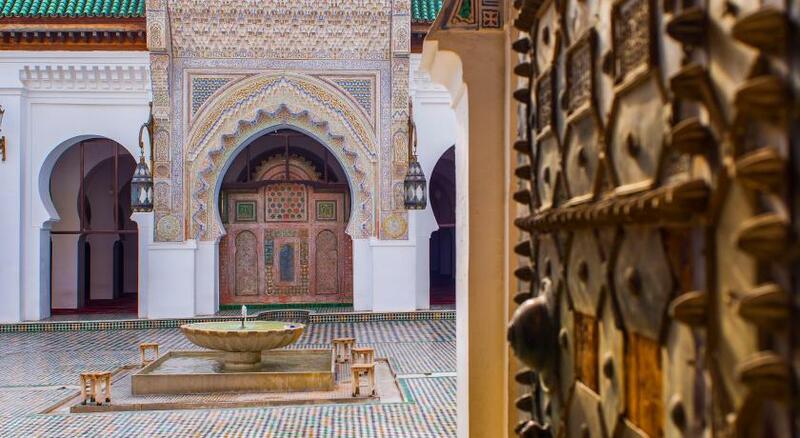 We can advise on things to do, arrange visits to the Medina and ultimately share a little taste of traditional Fez with you. 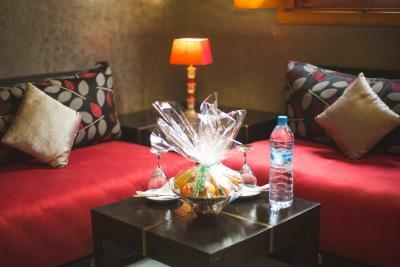 With our very spacious rooms to rent in this traditional character filled town only a couple of minutes’ walk from the center of the medina, you can be sure that your stay will be relaxing and enjoyable. 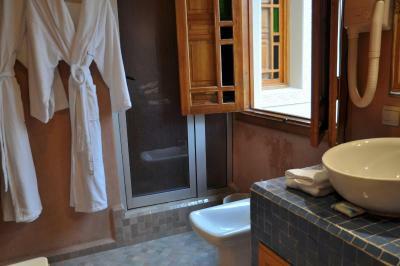 Fully equipped bedrooms and bathrooms. Air conditioning and WIFI. House rules Riad Andalib takes special requests - add in the next step! Riad Andalib accepts these cards and reserves the right to temporarily hold an amount prior to arrival. Please inform Riad Andalib in advance of your expected arrival time. You can use the Special Requests box when booking, or contact the property directly with the contact details provided in your confirmation. Lighting could be further improved. There are several lights in the room, but they are not bright enough. 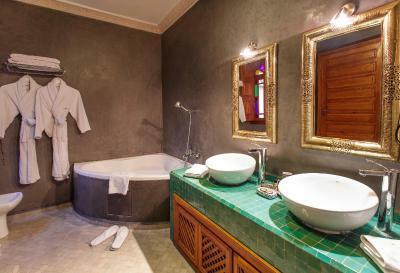 (1) This riad is a little bit expensive, but the service they provide and the level of attention paid to details deserve the premium. 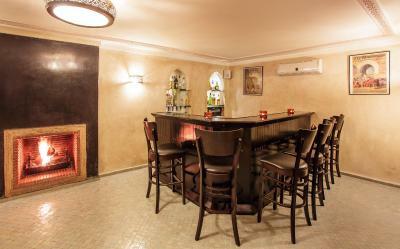 The owner, Reibal, is super fluent in Arabic, French, English, and Spanish (he grew up in Morocco and studied in Montreal), empowering him to solve all kinds of problems and answer all types of questions for guests. Different from other riad owners I have met, Reibal's Arabic skill, his experience with and understanding of multiple cultures, and his hospitality to help guests make him a "super host." 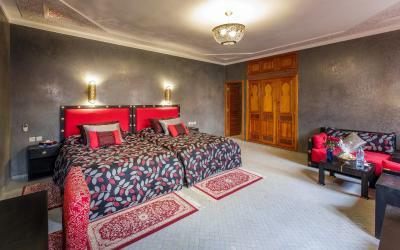 (2) The room is clean and big with slippers, bath robes, a safe, TV, and a small refrigerator (which are not commonly found in most riads). My room has both a shower and a bath tub. 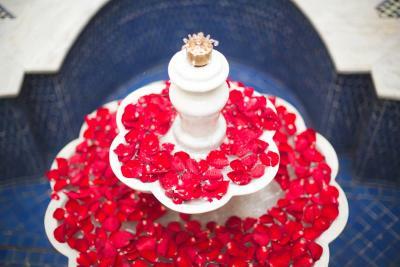 Water pressure is very good and water temperature is very table. They provide a fruit basket on Day 1, which was a life saver for me. In addition, the riad provides a big water bottle every day during my stay. In the other riads I have stayed, some provide very small bottles daily, and some provide only one small bottle on the first day. (3) Reibal offered me to have breakfast ready at 7:30 a.m. when he learned that I had to leave at 8 a.m. the next day (regular serving time starts at 8 a.m.). I ended up having my breakfast at 7:15 a.m. His willingness and hospitality to "go above and beyond the call of duty" is something that I did not experience from other riad hosts and even today I am very grateful for. (4) Reibal provides all guests with a map and detailed touring directions, which was super helpful, saving me money from hiring a so-called "guide." An incredible stay, fabulous host, wonderful food and beautiful riad in the old city next to the Medina. A former family mansion turned into a primary school and then into a beautiful Riad made to perfection by the owner Reibal Idrissi who takes pride in his Fes heritage. 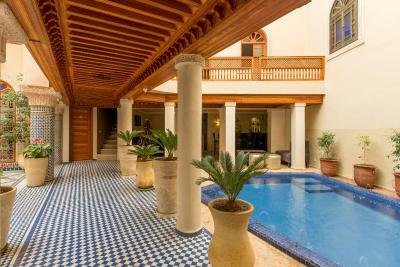 The Riad has a few spacious indulging private suites, a beautiful courtyard and a terrace. 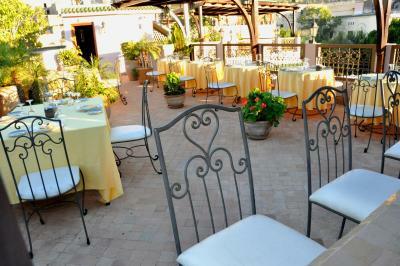 The restaurant in the courtyard serves exquisite breakfast lunch and dinner. Mr Idrissi’s mission is to give his guests a perfect experience sharing with them his knowledge about the history and culture of his city. He will provide you with tips and help on how to get around, negotiate taxi fare, bargain and all your travel needs and wants and will recommend a travel agency which will provide you with a guide, car and itinerary for excursions and other destination but after spending time in the Riad you will not want to leave. Good location just outside of the main part of the medina - a short walk and you enter near the tanneries. The area around the riad is enjoyable to walk around. Breakfast was excellent! Our room had 2 beds, which was perfect for traveling with a little one. The staff was all very kind. 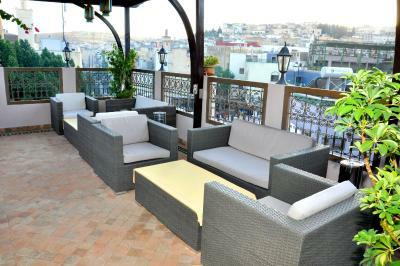 The rooftop terrace is lovely and a nice place to unwind after a day in the busy medina. Everyrhing was perfect. Location amazing. The staff kind, helfpful and always there for you, whatever it is you need, they will find a way to help. 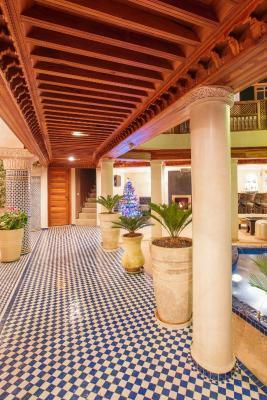 The Riad itself looks gorgeous. Unique! Everything. The location, the staff, and the food. 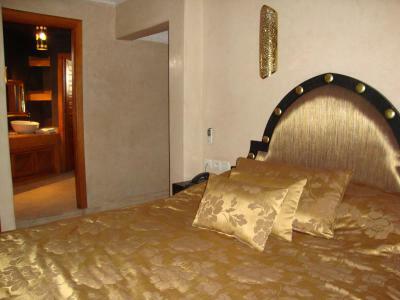 The room was spotless, with a tasteful and comfortable decor and amenities. The owner, Mr. Reibal Idrissi, is particularly very helpful and most attentive to all the details of his guests’ stay and comfort. I cannot really think of anything that might be improved without losing authenticity! the quarters were so clean and well appointed, I wouldn't change a thing! This was one of the greatest hotel travel experiences I have had in many, many years. Mr. Reibal Idrissi, the Riad Andalib proprietor went out of his way to help us with local customs, guide us on how to approach the medina and deal with confusing directions. When we were short on items that we had forgotten, he went out of his way to find them in the Bazar and have them brought to us. Further, he was instrumental in finding an excellent guide - Mohamed, who was a font of history and knowledge throughout, and took us around the surrounding sights at a pace that suited perfectly. 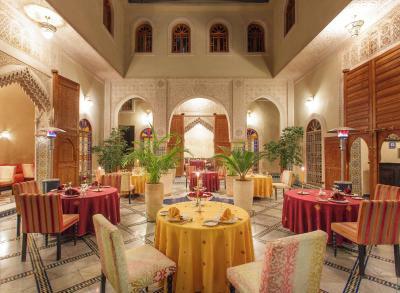 Dinner at the Raiad is in spacious and elegant Morrocan surroundings with food from his Mother's tradional cooking. 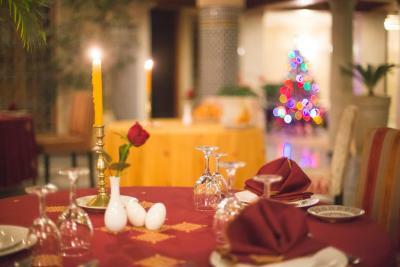 All in all, the three-night experience was relaxing and reassuring even for seasoned travelers. If Reibal doesn't fit the perfect, and adept host Rick of the Café Americain in Casablanca, I don't know who would!! 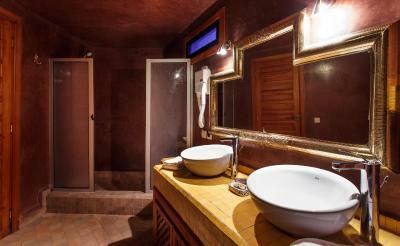 Beautiful property and great location for the Médina. 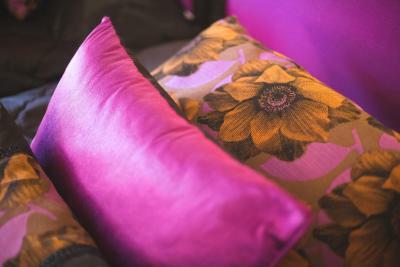 The staff was excellent, very helpful and very accommodating. Food is good both at breakfast and dinner The setting is inside the covered courtyard. In the winter it is a bit uninviting: it is cold and and with few guest is really empty. 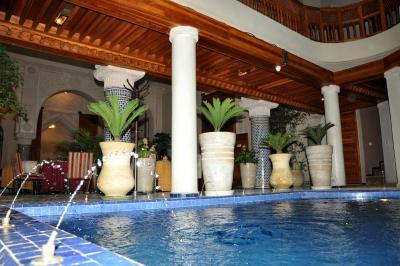 This is a very nice Riad and manager and personnel are very helpful and pleasant. The location is good. It is in the Medina but reachable by car.